The Star Wars American epic space saga franchise is cantered on the film series created by the legendary George Lucas. The Star Wars universe details the adventures of various characters “a long time ago in a galaxy far, far away” and was introduced to the general public with the original Star Wars film in 1977. This was followed by The Empire Strikes Back (1980) and Return of the Jedi (1983), which together made up the original trilogy. A prequel trilogy and additional movie have since been released, while additional movie installments in the franchise, are expected to be out shortly. The seven films released to date, have won seven Academy Awards, from the 27 for which they were nominated. If you ever had the slight inkling that the communicator used by Qui-Gon Jinn is suspiciously familiar, we congratulate you for your sharp senses! You are in fact right! The ultra high-tech communication device which he uses is actually an altered Gillete Sensor Excel women’s razor. Talk about cutting-edge technology! Samuel L. Jackson is one of those rare actors who can pull of playing all sorts of cool bad *ss guys, with suave, elegance, style and charisma. No matter how cheesy the line, he has the right tone, demeanour and facial expression to carry off any role, credibly! 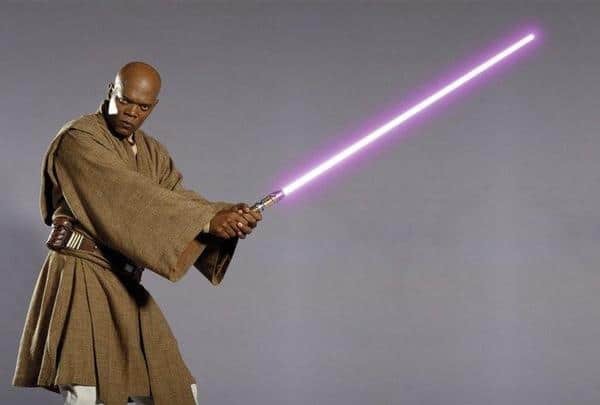 So when this cool cat claims that the words “bad mother****er” were engraved on the lightsaber he used in the Star Wars films, you just have to believe him! According to J.W. 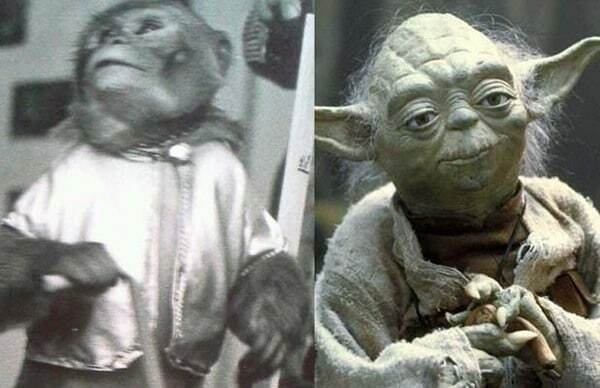 Rinzler’sbook ‘The Making of Star Wars’, George Lucas originally planned Yoda to be played by an adorable monkey wearing a mask and carrying a cane. Think about it: a monkey playing the part of the Jedi master who trains Luke Skywalker to fight against the Galactic Empire. Frank Oz provided Yoda’s voice and used his skills as a puppeteer to move around the character in the original trilogy. For some walking scenes in later movies, uncredited dwarf actors appeared in costume as Yoda. 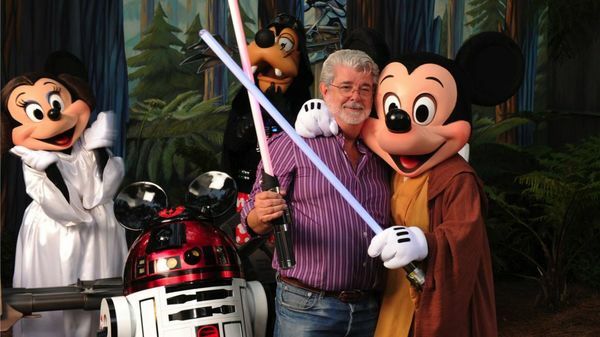 George Lucas sold Lucasfilm, which owned the rights to the “Star Wars” and “Indiana Jones” franchises and which was also the parent company of Industrial Light & Magic as well as LucasArts (the company’s video game division), to Disney in 2012. At the time, the deal was worth a whopping $4 billion, which made George Lucas the largest shareholder in Disney Corporation, after the estate of the late Steve Jobs.